Your children’s church will enjoy this new music video from Crossroads Kids Club. Watch the preview below and then download a copy from their page on Vimeo. Don’t miss all their free Bible teaching videos. 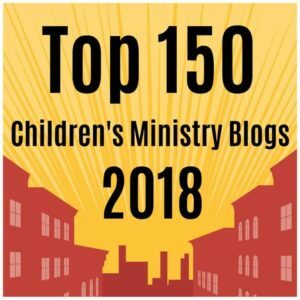 I hope you enjoy it – and more important it gets your kids dancing for Jesus. Leave me a comment below to start the conversation. I love this. I teach special needs kids at my church and most love music, especially the music videos like this with the words and actions they can copy. Now I have two sites I found through Ministry to Children, Gods Kids Worship and Crossroads Kids Club. Keep up the good work. Yesssss to this! I loved it. It was fresh and fun, and kids can relate to it. They need to know that God loves them, God is big, He is Àlmighty, He is The Lord and The One who will help them. Kids love to dance so why not dance for Christ? I really enjoyed watching this. Our kids and teens did a dance one Easter to “Every Praise” and it was awesome. Even the young men were getting into it. Thank you for sharing! Absolutely wonderful! I love the Lord and the song just brings joy to my heart. I hope to share it with the kids in our neighborhood. I’m a grandma, but love the kids and they seem to love me too! Praise the Lord, Great song as unto our Lord be Praised! Tony Kummer (Editor) reviewed & updated this page on : June 2, 2017 at 9:49 pm. All our content is peer reviewed by our readers, simply leave a comment on any post suggest an update.